Introducing World of Tanks first new Premium vehicle of 2018: Loza's M4-A2 Sherman! Like the Thunderbolt and Tiger 131, it’s based on a specific historic vehicle — in this case, a Sherman tank provided by U.S. forces under Lend Lease to the Soviet army. The moniker comes from the vehicle’s commander, Fedorovich Loza, and it bears the number “936” as used in combat. 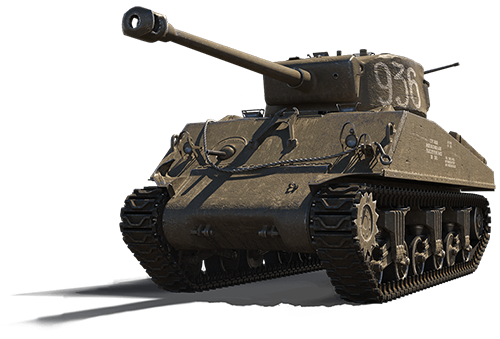 The tier VI medium tank comes with a 76mm cannon, is an excellent Crew trainer, and the Commander has the Sixth Sense Perk 100% unlocked!